Is Donald Trump set to become the new Network Marketing guru? It wouldn't be at all surprising. Called the Trump Network, it is set to lauch autumn 2009 and is designed to make people healthier with customised vitamins, whilst at the same time encouraging people to become entrepreneurs. So what is it about network marketing that has caused such a well known and influential businessman to put the whole weight of his brand name behind it? Is it strong enough to overcome the perception by many that network marketing is just a pyramid or ponzi scam? The simple truth is that genuine network marketing opportunities are not scams, but in our world of media hype, we see what we want to see, and believe what we want to believe, often without ever digging deep enough to get at the truth. For instance, how many believe that we need to drink eight glasses of water a day, despite there being no scientific evidence to support it? There is nothing wrong with drinking water, and no doubt it's good for you, but why eight glasses? According to Donald Trump, "During hard times, people with an entrepreneurial spirit flock to network marketing opportunities." Certainly, people are looking more and more for ways to become financially independent and, as job losses, wage cuts and reduced working hours takes hold in an uncertain economy, there is nothing wrong with diversifying. Traditionally, as businesses fail during economic meltdown, new businesses take their place. Donald Trump is placing his considerable expertise and marketing knowledge behind his new network marketing venture. It will be seen by many as a positive 'thumbs-up' for the industry that gives people an opportunity to earn a residual income; something that most bricks & mortar businesses fail to do. An industry that will allow people the opportunity to earn as little, or as much, as they want or need, provided that are willing to invest in themselves and their business. Because no-one should assume that, just because an industry has the support of a business magnate such as Donald Trump, it will make them rich. 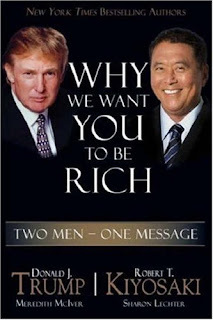 As his co-author on the book "why we want you to be rich", Robert Kiyosaki says: "you need to ask yourself, "Do I have what it takes? Am I willing to go beyond my comfort zones? Am I willing to be led and willing to learn to lead? Is there a very rich person inside me, ready to come out?" If the answer is yes, start looking for a network marketing business that has a great training program - one that emphasizes education and personal growth." Good post. Subscribe to the list everyone is talking about relative to The Trump Network at http://www.BigHerba.com/. 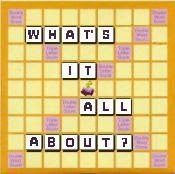 It's not what you think, full of surprises, free information, and the TRUTH. A very knowledgeable blog about network marketing. And I personally believe that MLM is a good option but carries a lot of risk. However i am feeling better after reading this. Objections: How would I market the business?